This is set to auto post on 12/23. Today (12/19) Jeff, Angie, Maggie, Krissy and I went shopping at Firewheel Mall. It's a beautiful outdoor mall. It was the perfect day for shopping and being outside. It was about 73 degrees, and there were tons of sales! 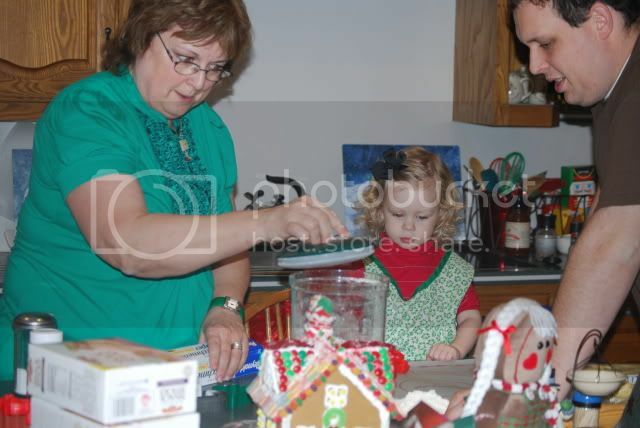 After we finished shopping we went to pick Landree up from Mi and Poppee's house (I couldn't stand for her to be away from me another night) and we came back to Grandma's house to make their traditional sugar and gingerbread cookies. 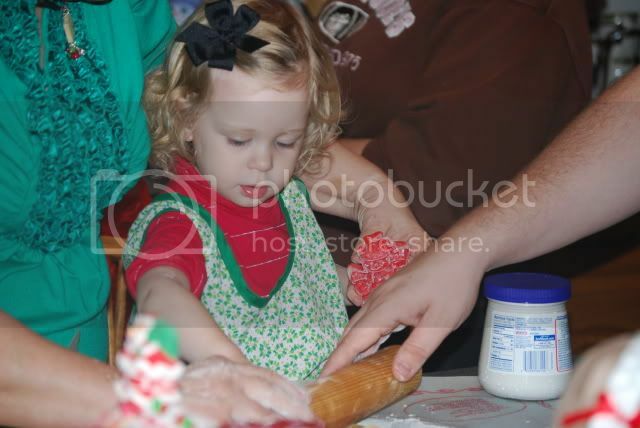 Landree had such a fun time! 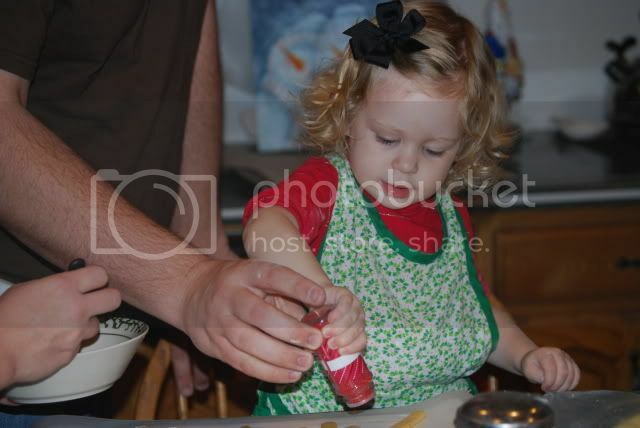 She loves cooking. 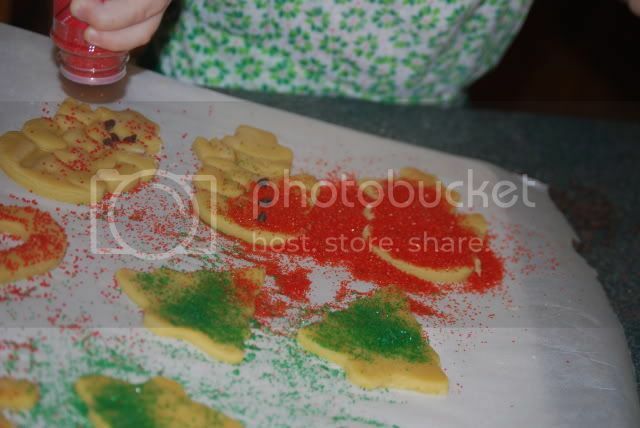 Then they cut out the cookies with cookie cutters. 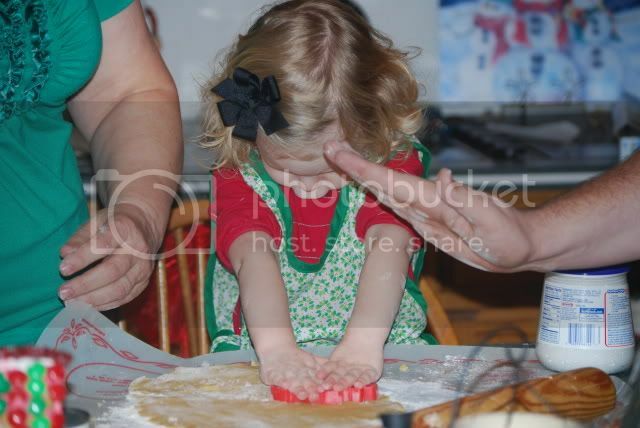 She was so serious when she was cutting the cookies and would press really hard. 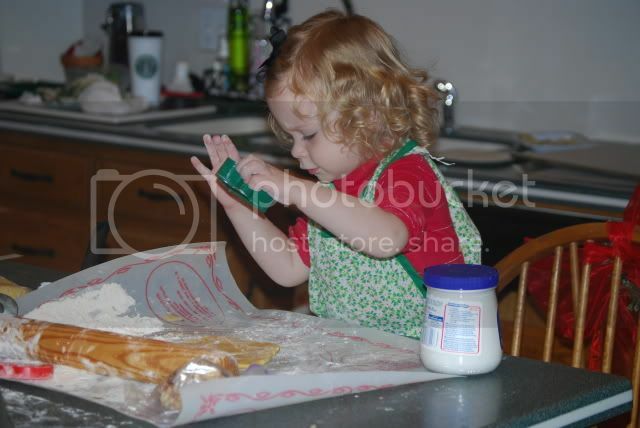 What a great helper and baker you have there!! 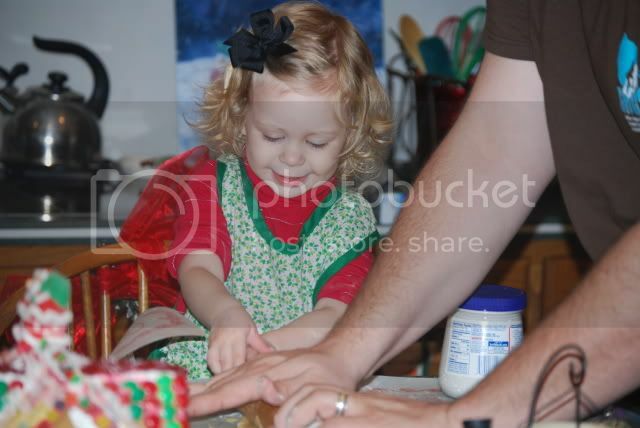 She looks so cute in her little apron! 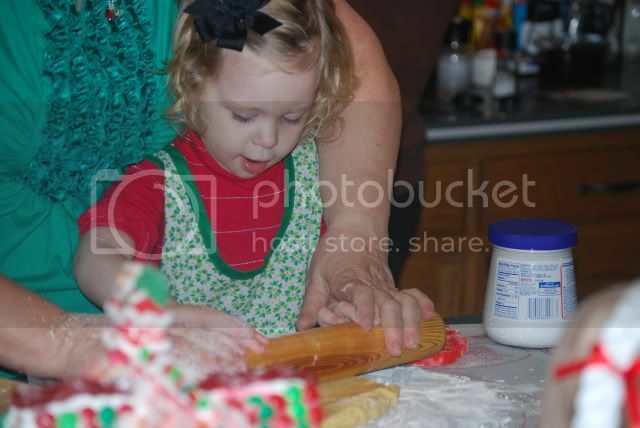 She was a serious cookie maker! She stayed focused and on task! What adorable pictures. She is precious! Merry Christmas. 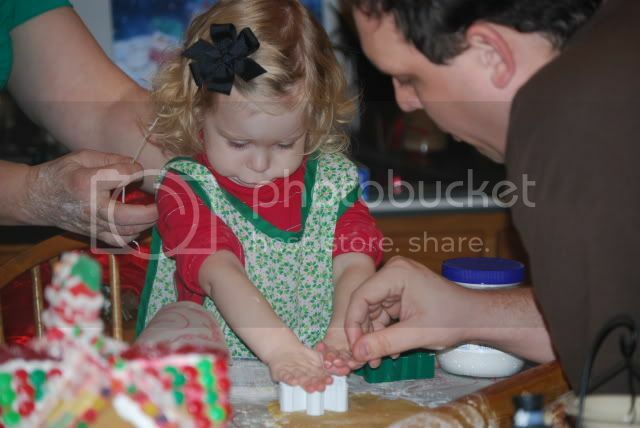 It looks like Landree had a great time baking with her Grandma. 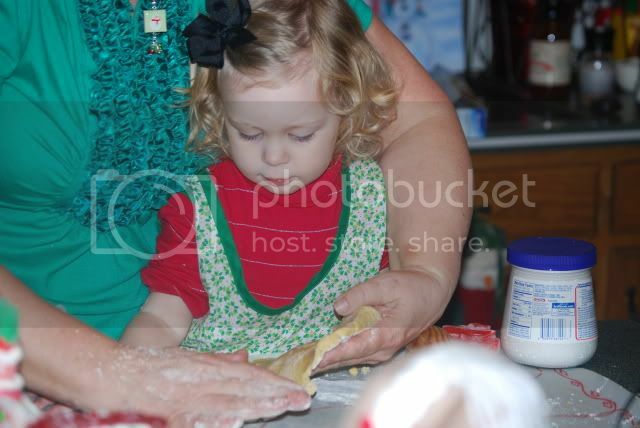 I love her apron too! Sweet girl!!! 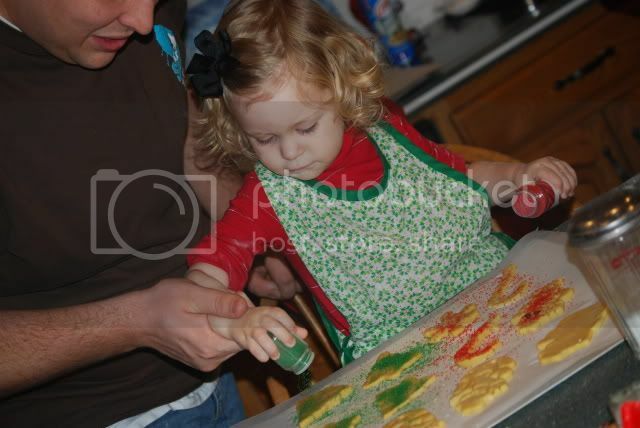 Those cookies look so yummy! What great memories for her! Grandmothers are the BEST!!! How sweet. I absolutely love the last picture. Hope you had a great Christmas! I have read your blog a few times so it's finally time for me to comment. 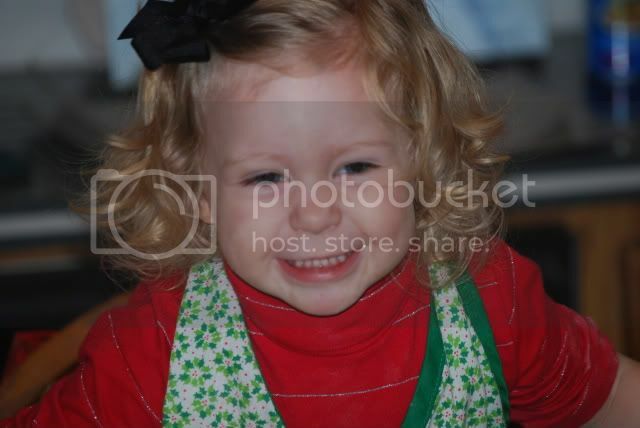 =) Your little Landree is such a cutie pie! What great memories this Christmas. Merry Christmas!